A smart, energetic and utterly convincing play by Lachlan Philpott on behalf of the Griffin Theatre Company. Exploring the attitudes, priorities and difficulties of growing up in contemporary Australia, Silent Disco focusses on school life and the relationships between two students and their teacher. Buffeted by difficulties at home and in the classroom, the students, Tamara and Jasyn, learn about love and loss the only way there is – the hard way. We saw the play last week at The Arts Centre, Melbourne, in the final days of its first tour around New South Wales and Victoria. All four actors – Sophie Hensser, Camilla Ah Kin, Meyne Wyatt and Kirk Page – were outstanding. Unlike The Haunting of Daniel Gartrell, discussed in a previous post here, there was no delay in our suspension of disbelief. Perhaps it was because we had never seen Hensser and company perform before, so did not need to disconnect their current characters from past encounters; or perhaps it was because of the subject matter – growing up and living the intensely competing emotions of boredom and passion is an experience close to every adult’s heart. Either way, we were drawn instantly into the world of Silent Disco and were effortlessly gripped by its ebbs and flows right up to its dramatic conclusion. The play interweaves layers of thought, dialogue and SMS with deft fluidity. In so doing, it brilliantly captures the complexity of modern existence, of the pulsing boundaries between these modes of communication, giving life to each. Thoughts are eloquent, fully expressing inner needs, desires and fears. Dialogue is laden with meaning, each character sounding out his or her counterpart so carefully that true understanding seems impossible. And then there are the SMSs, announced in charecteristically short, sharp sentences – instructions or demands, stripped of the meaning the dialogue struggles to contain. 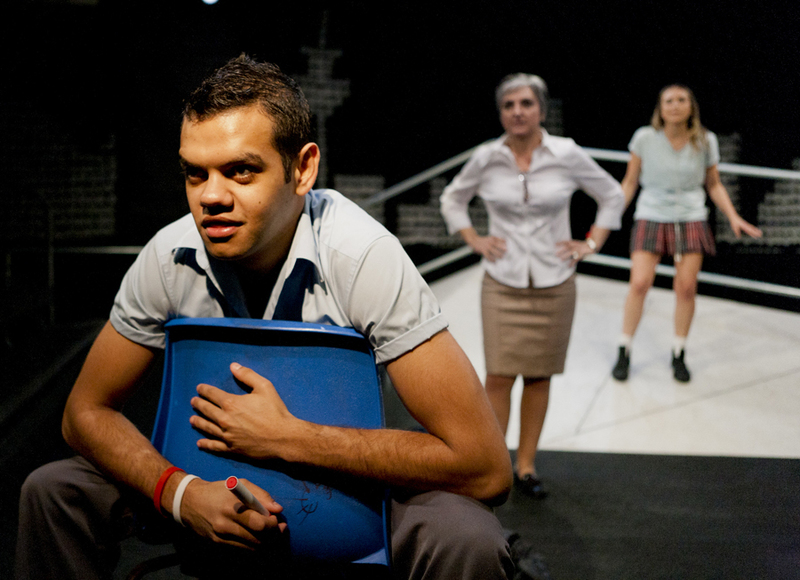 Combining perfectly balanced drama, heartache and humour (this latter element no better delivered than by Ah Kin’s magnificent Dezzie), Silent Disco is a profound play that expresses the unique challenges of growing up and finding our way in the world. It taps into currents born of nostalgia but firmly rooted in the zeitgeist and in so doing, left us absorbed and moved.